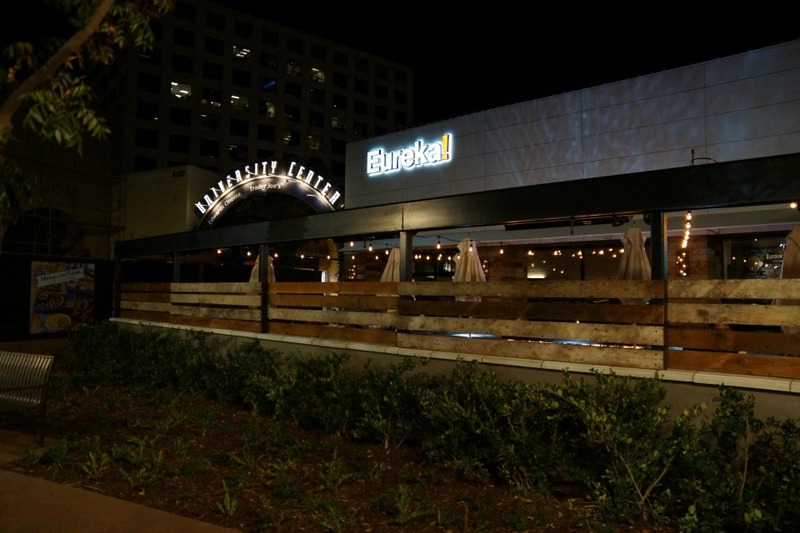 One of our favorite family restaurants, Eureka has just opened in Irvine. What makes them different from most restaurants? It is the quality of their ingredients. 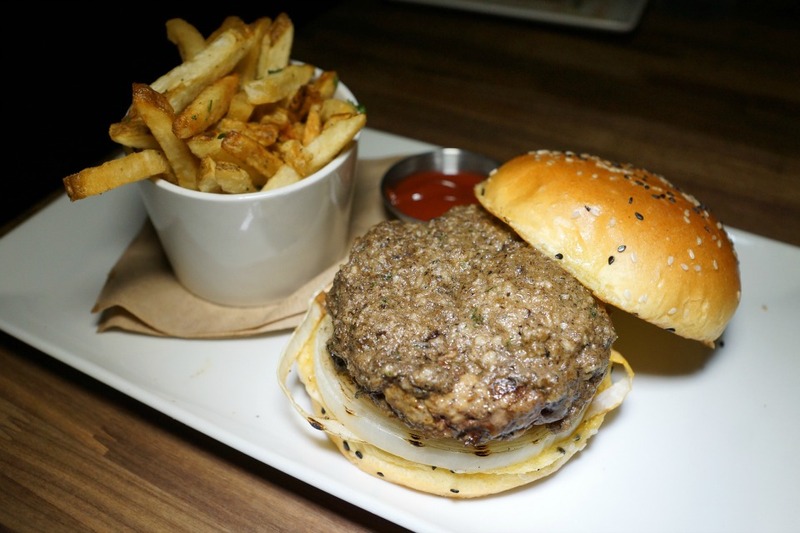 Eureka is one of the few family-friendly restaurants in Orange County that uses grass-fed beef to make their burgers, and that is a big deal for people like my son who suffers from food allergies. When the news broke that Eureka was opening in Irvine, we could not wait to plan a family dinner. 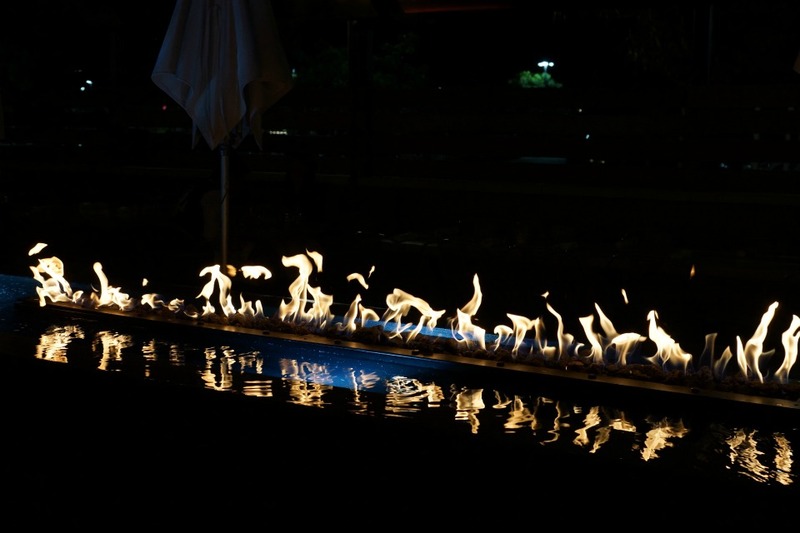 The restaurant is located in the popular shopping center across from UCI, and it was filled with a wide variety of diners. There were college students, families and couples all dining in uber chic restaurant. While I took a tour of the new restaurant, my husband and kids started with some appetizers. 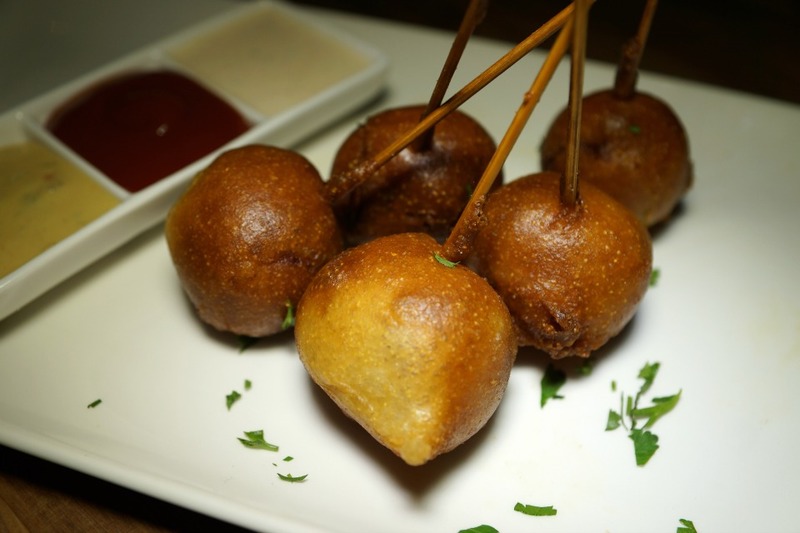 They started with the truffle cheese fries, nacho average nachos, and the ever-popular lollipop corn dogs. While I would never have expected to like the truffle cheese fries they quickly won my heart as one of the best appetizers of the night. 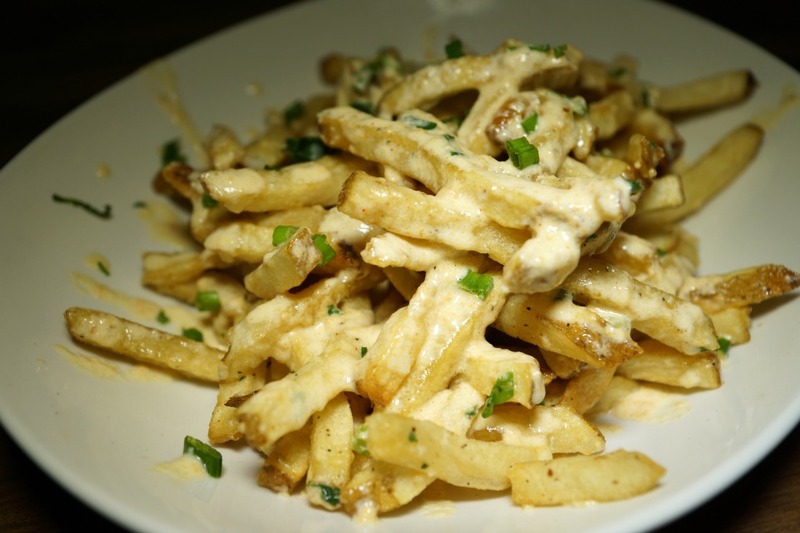 The fries were covered with a rich blanket of creamy havarti truffle sauce and green onions. I warn you..you can’t eat just one! 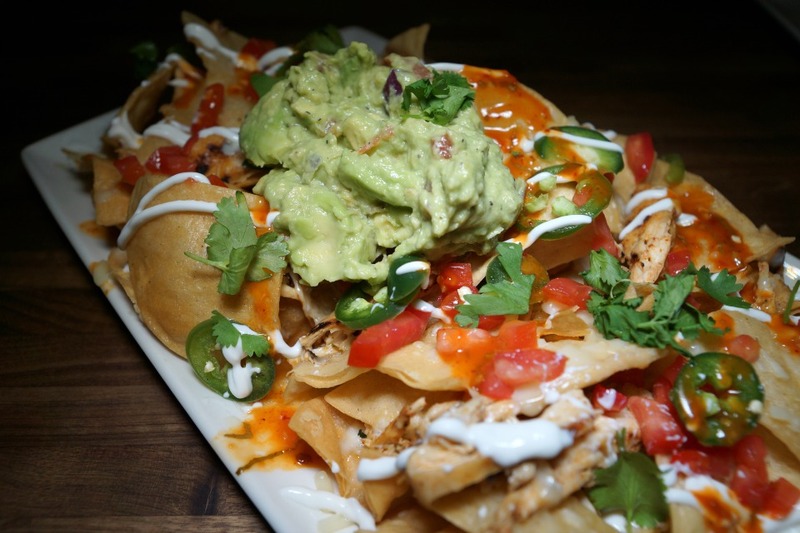 They were not kidding when they named the nachos “nacho average” because they were far from average. The giant plate of homemade chips came piled high with chicken, beans, guacamole, tomatoes, cilantro, Monterey jack cheese, jalapeños, chipotle sauce and sour cream. Our family could not resist devouring every bite without leaving a crumb behind. Finally, the kids enjoyed their favorite lollipop corn dogs. The key to making kids happy during a meal is to serve their food on a stick – I guarantee it. The kids dipped the corn dog lollipops into the different dipping sauces with glee. 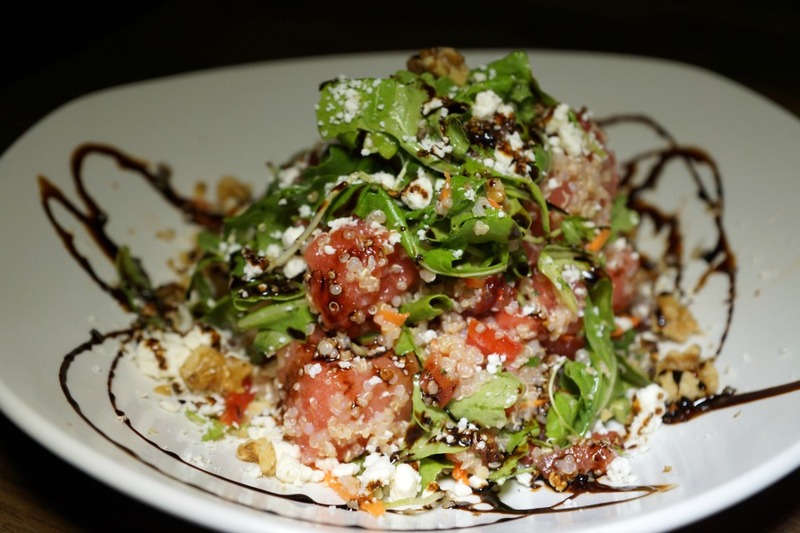 The watermelon salad has been one of my favorites to have when I’ve dined at Eureka, and they have recently made some changes to the popular dish. It is better than ever with arugula, kale, lemon vinaigrette, quinoa, feta, toasted walnuts, watermelon, and a balsamic glaze. It still boasts the freshness that it did before but with the added crunch from the toasted walnuts. 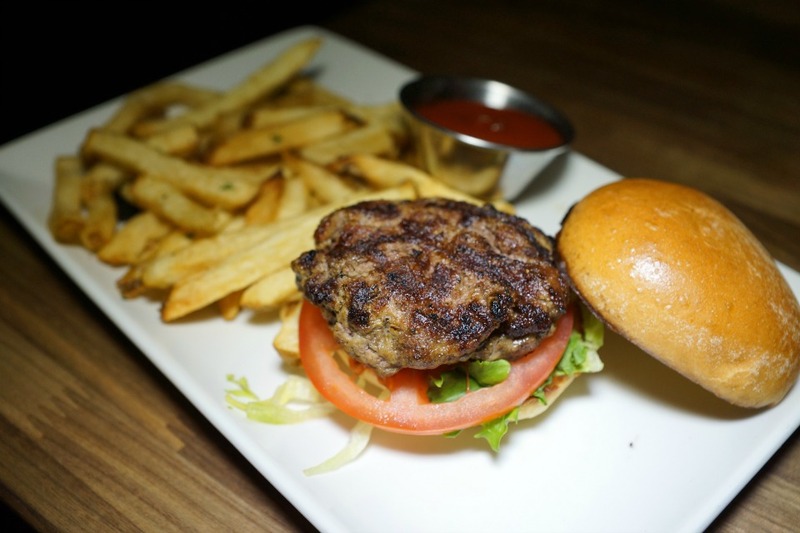 The flavor shines through with every bite of their burgers that are all-natural, hormone-free, antibiotic-free, grass-fed with a vegetarian finish. My husband ordered his favorite cowboy burger that is large enough to satisfy any cowboy’s hunger. 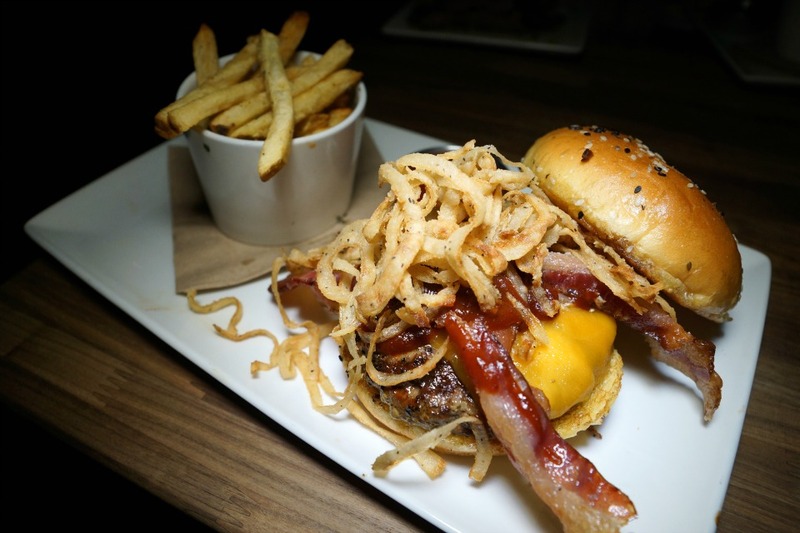 The burger is topped with shoestring onion rings, bacon, cheddar cheese, and barbecue sauce. 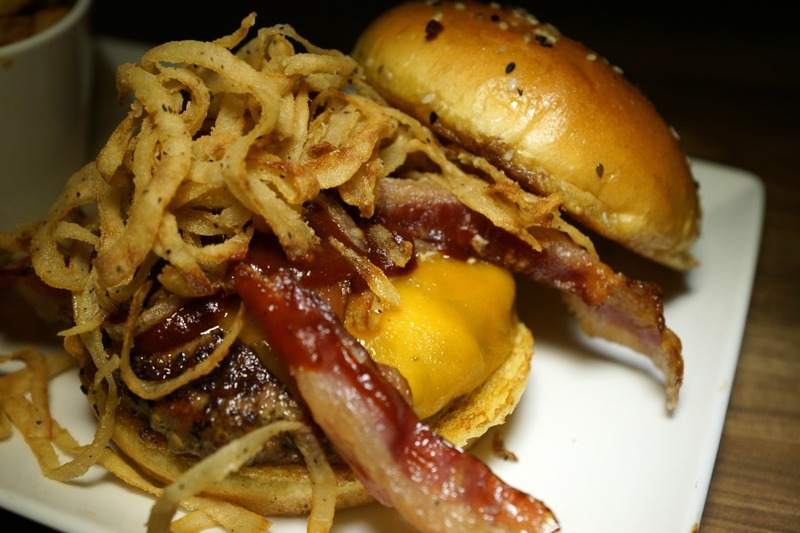 You’ll say “yee-haw” when your taste buds first meet this juicy burger. While my husband stuck with his favorite, I tried something new by having their bone marrow burger. There is only a limited amount of this mouthwatering burger available daily and the #1 reason to dine early so not to miss it. The burger is made with bone marrow porcini butter, grilled onion, mustard aioli, oven-roasted tomato and served with a side of french fries. Our steak-loving daughter had the 8oz flat iron steak. 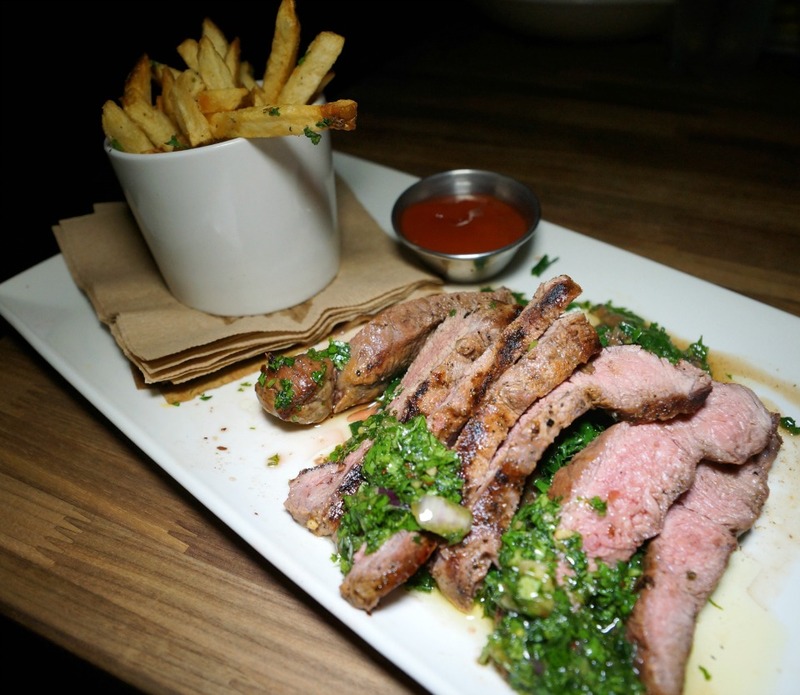 It came sliced with sautéed kale, chimichurri, and hand-cut fries. The steak was tender, and the chimichurri was perfectly paired with the sautéed kale. 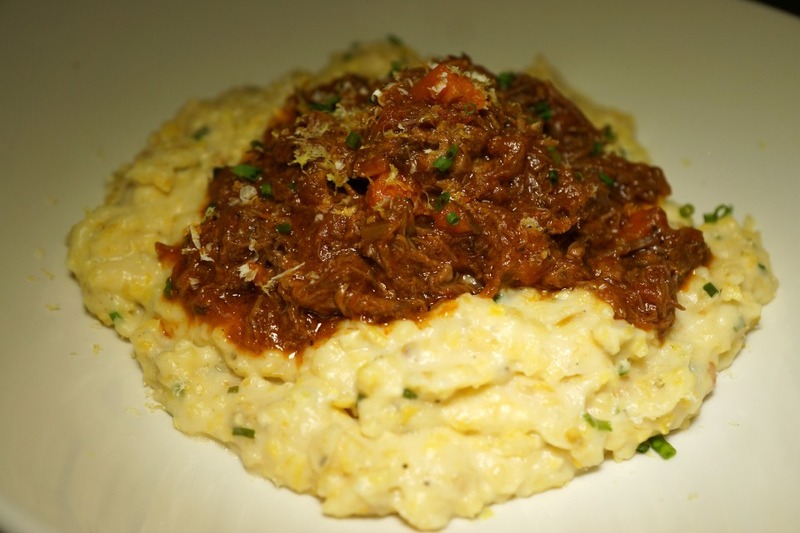 While our daughter was in meat lover heaven, our son tried the short rib ragu. The dish featured stone-ground grits, shaved horseradish and herbs. 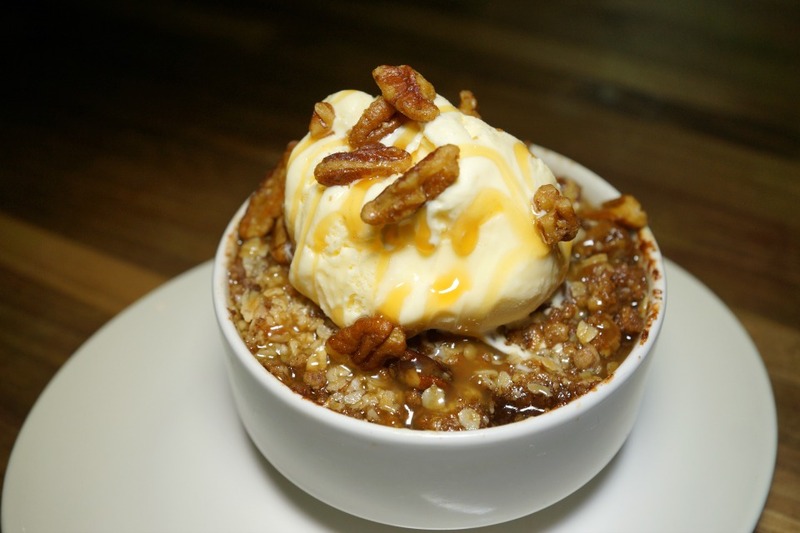 The dish is perfect to savor next to the fire on the outdoor patio during a crisp Fall evening. Finally, our picky eater devoured the all-day breakfast burrito. 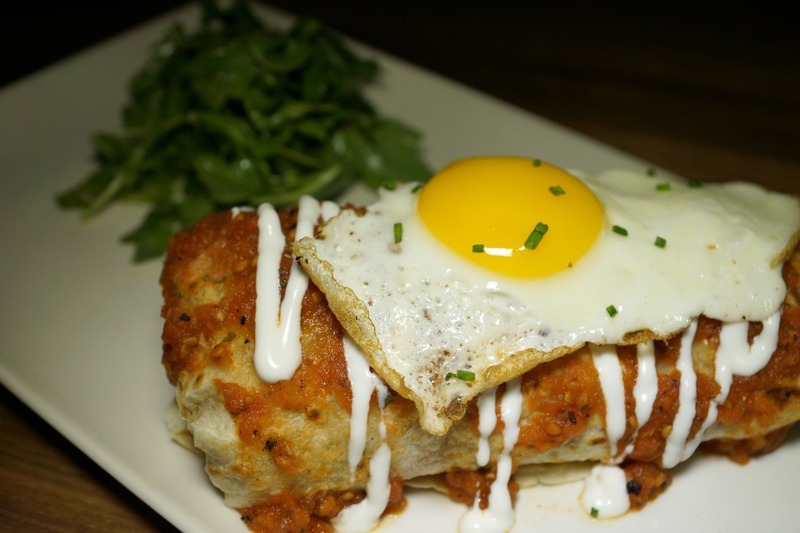 The giant burrito came loaded with steak, potatoes, and topped with ranchero sauce and a fried hen egg. This burrito is perfect for tailgating before a game at UCI or for your family picnic at a neighboring park. We couldn’t decide what to have for dessert, so we ordered both the Americana apple crisp and chocolate espresso soufflé coffee cup cake. Both of the desserts were the perfect ending to our dinner at Eureka in Irvine. 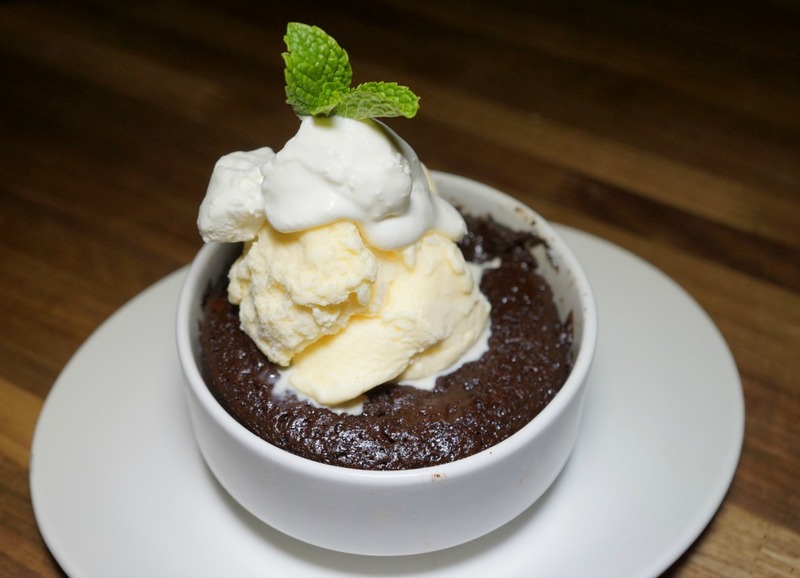 When looking for a new dining destination in Irvine, Eureka is the perfect family restaurant. 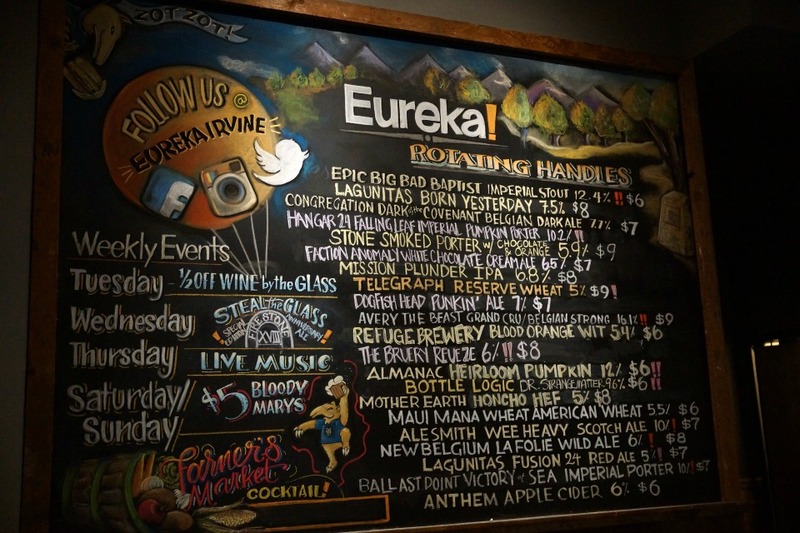 With very few family dining options within the UCI Irvine area, we are thrilled to have Eureka open their doors. Eureka! Irvine is located at 4143 Campus Drive in Irvine.